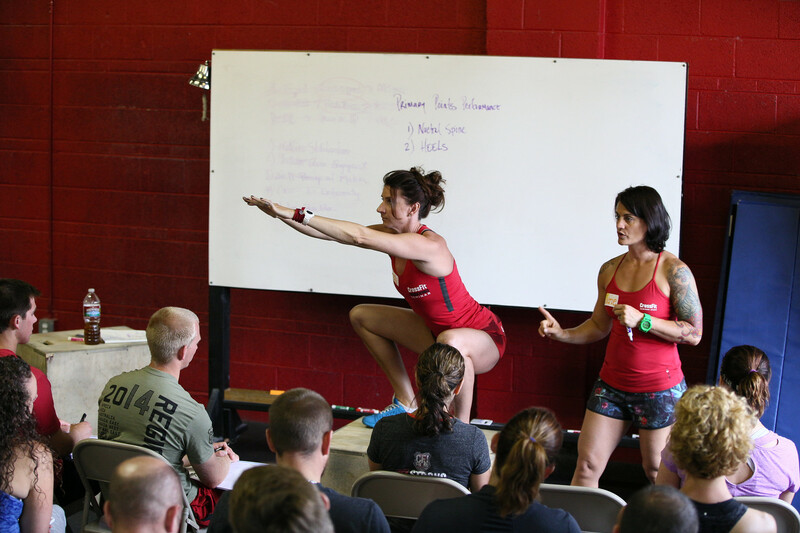 Kraemer put subjects with no CrossFit experience through a modified “Linda” workout, and had them go fast as possible, with heavy weights, and without coaching. Kraemer’s hypothesis that form would change due to an accumulated workload was correct, but form actually moved in the opposite direction than one would expect. The later sets of squats in modified “Linda” were more upright and deeper. Awesome, right? One could have concluded from this data that a timed CrossFit workout improved the subjects’ form. Kraemer preserves his “erratic” form hypothesis despite the squat form improving. Imagine if the results were reversed, and that the athletes leaned forward more and squatted less deep as the workout progressed. Would Kraemer not have also concluded that CrossFit training resulted in erratic form? The only way that the study could have falsified Kraemer’s “erratic” hypothesis is if the joint angles had stayed exactly the same throughout every single repetition, nearly an impossible feat in any style of training. Further, this paragraph reveals another key difference between Kraemer’s study and CrossFit. The researchers did not prescribe a range of motion standard for the squat. The subjects simply squatted as deep as they felt like. Note that even CrossFit’s example of an unacceptable, above-parallel squat is deeper than either of the graphs from Kraemer’s study. So, we know that the subjects squatted higher and leaned forward more in the set of 10. Had they been training in a CrossFit affiliate, a coach would have already shown them a proper range of motion standard, and the coach would have encouraged them to go deeper and stay upright. In other words, the subjects probably wouldn’t have waited for the final few sets to improve their form. Still, the data shows that “the negative effects of fatigue have the potential to be overcome.” Indeed, if this were false, mid-workout coaching would be nearly pointless. Thus the first part of the workout, where they found the worst squat form, was identical to doing a simple set of 10 squats. 1-3 sets of 6-15 reps certainly would include sets of 10 in the barbell back squat. This workout’s first set of 10 squats at 75% 1RM fall squarely within the NSCA’s strength training guidelines. It’s hard to understand why a set of 10 back squats is safe when the NSCA prescribes it, but unsafe when it’s inspired by CrossFit.com programming.